Bacterial pustule is caused by Xanthomonas axonopodis pv. glycines. 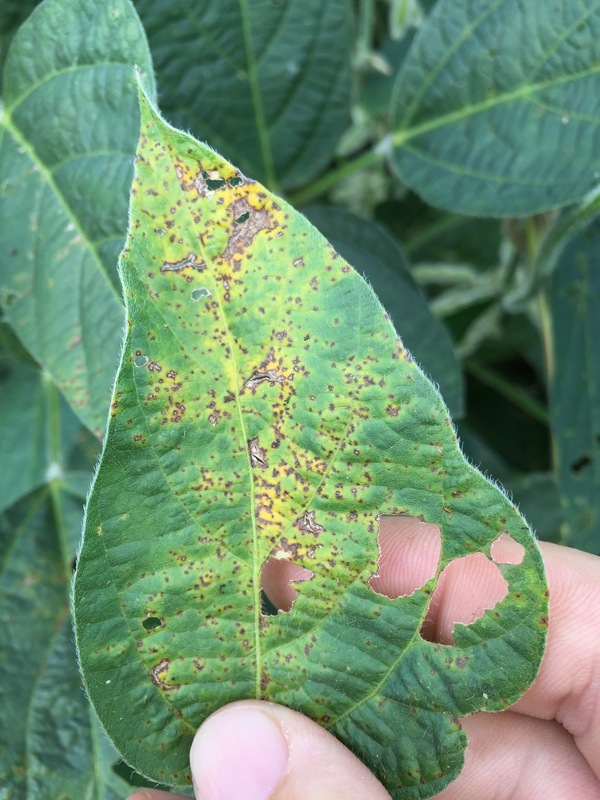 This disease occurs mid- to late season when temperatures are warmer. 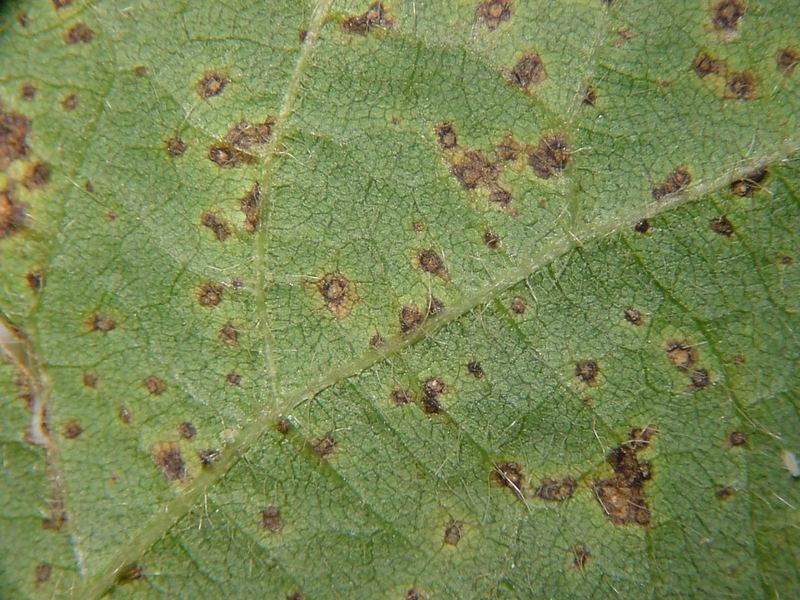 Lesions are found on outer leaves in the mid- to upper canopy. Lesions start as small, pale green specks with elevated centers and develop into large, irregularly shaped infected areas. A greenish-yellow halo surrounds each lesion. A pustule may form in the center of some lesions, usually on the lower leaf surface. 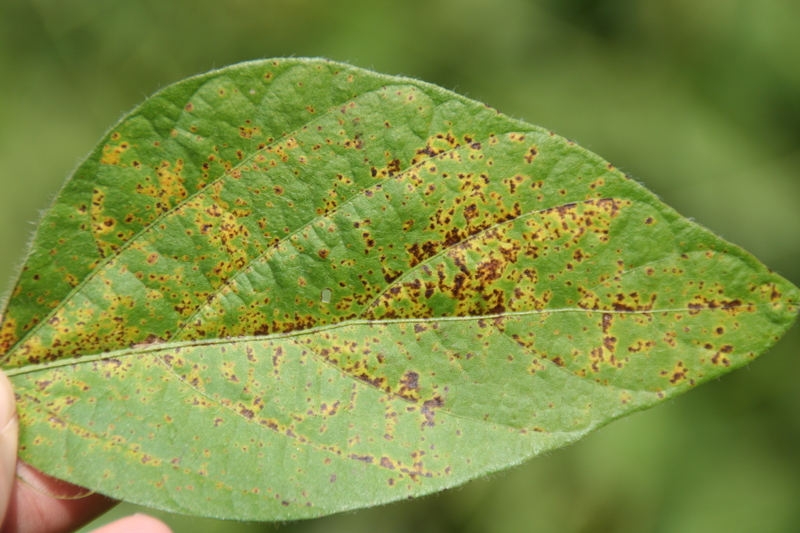 Bacterial pustule will not cause leaves to tatter like bacterial blight. 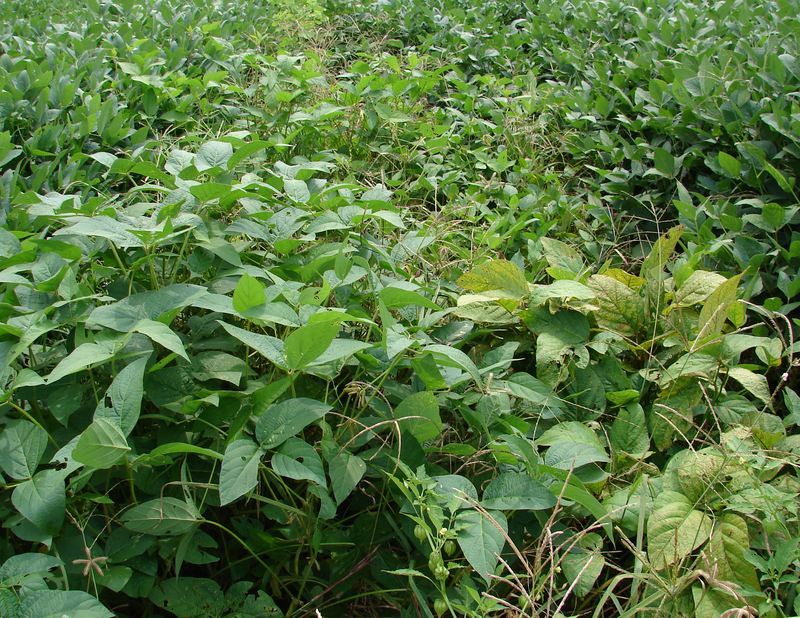 Disease development is favored by hot, wet weather. Bacterial pustule lesions start as small, pale green specks with elevated centers. A greenish-yellow halo surrounds each bacterial pustule lesion. Bacterial pustule occurs mid- to late season when temperatures are warmer. 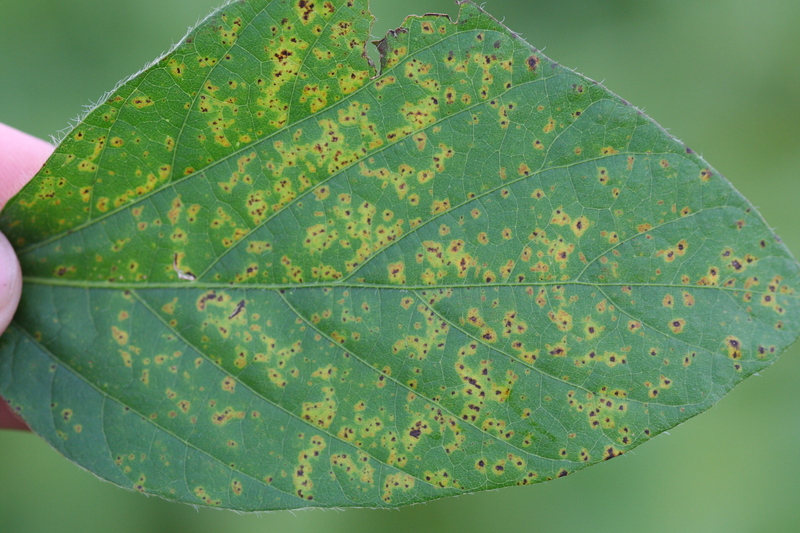 Bacterial pustule lesions are on outer leaves in the mid- to upper canopy. 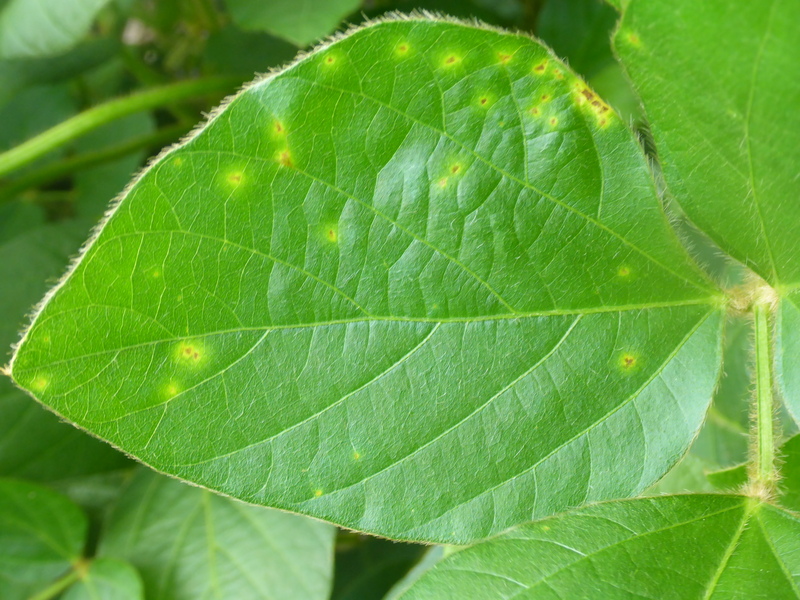 A pustule may form in the center of some lesions, usually on the lower leaf surface. 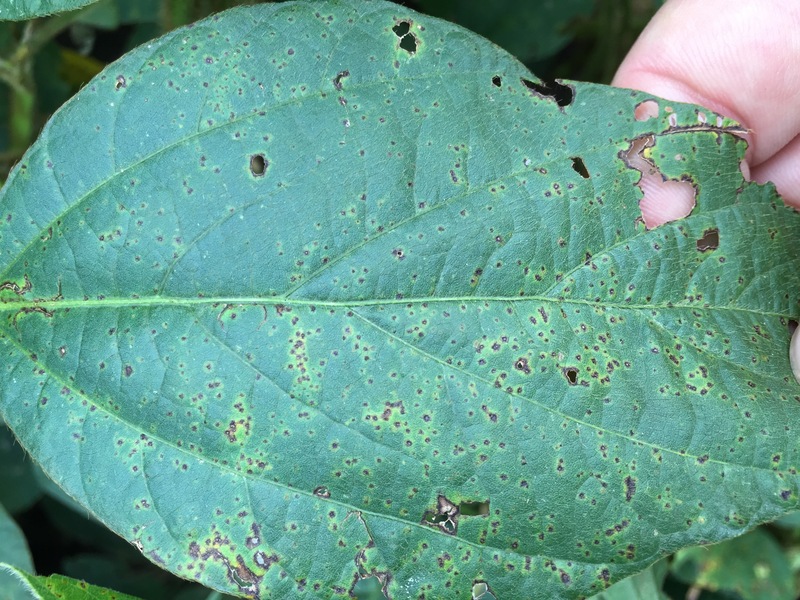 Bacterial pustule will not cause leaves to tatter like bacterial blight. 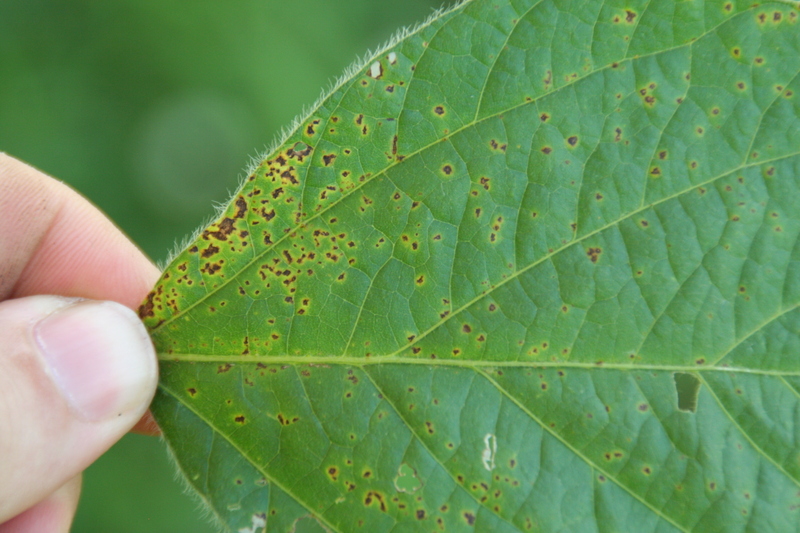 A pustule may be observed in the center of bacterial pustule lesions on leaf underside. 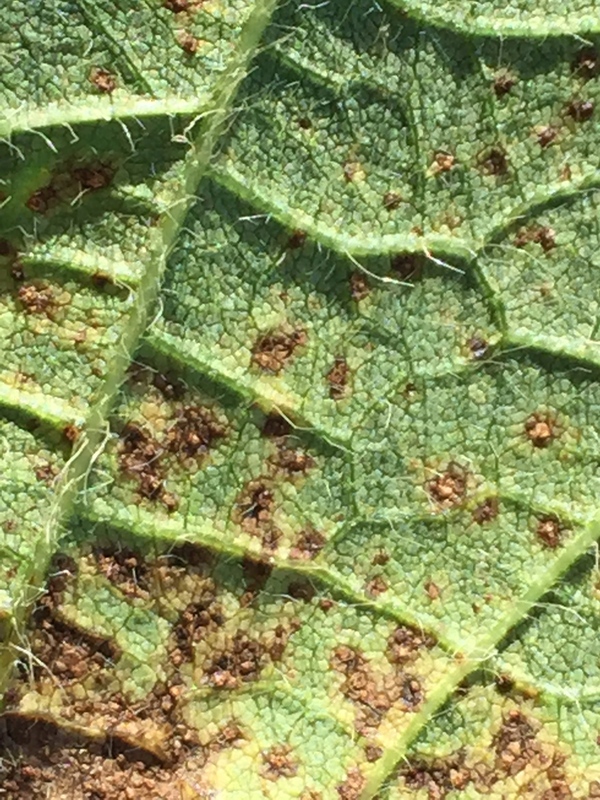 Soybean plant canopy with bacterial pustule. 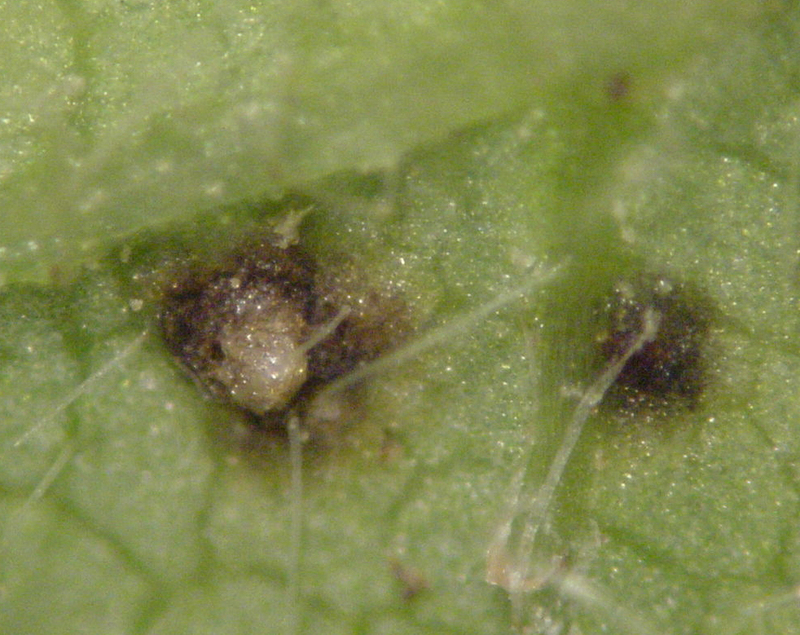 A pustule may be observed in the center of lesions on leaf underside.